Nardwuar The Human Serviette News: Nardwuar 2013 Punk Rock Calendar ! 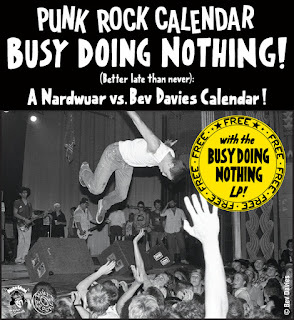 Nardwuar 2013 Punk Rock Calendar ! Looking for a 2013 Calendar? 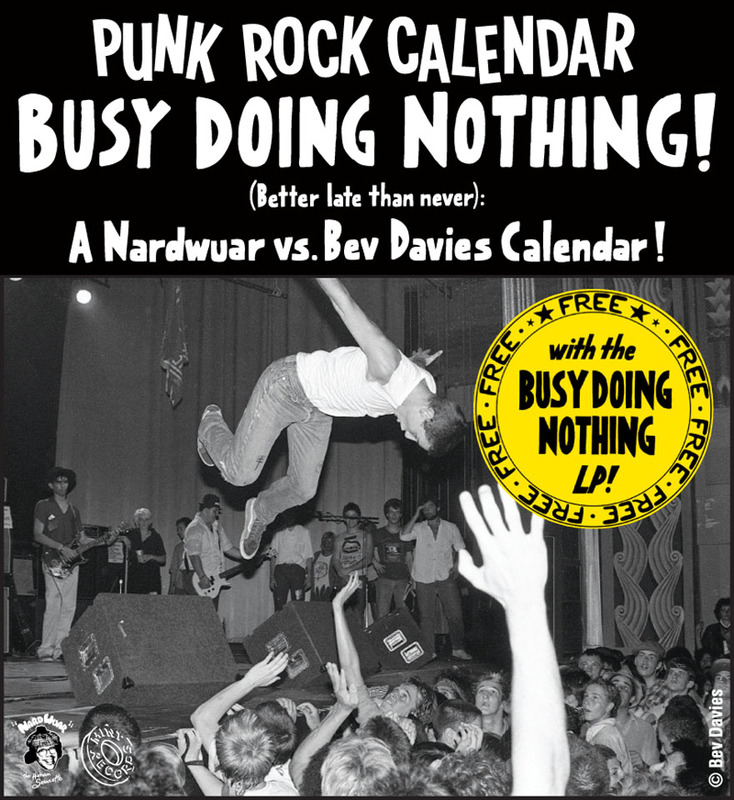 Nardwuar/ Mint Records have released a new Punk Rock Calendar with photographer Bev Davies. It comes FREE w the "Busy Doing Nothing" compilation LP. You can get it HERE! ( Enter the code "dootdoolaa" at get it for $10.99 ! ) What photos are in it? Actually lots of Punk and non-Punk pics! (See below) And of course lots of music by The Evaporators, Andrew W.K., Franz Ferdinand, The Cribs, Kate Nash, Sage Francis, Jill Barber, Fuad & The Feztones ! Doot doo! Again, you can get the Calendar HERE !! !